Other than this, the tractor runs fine. What is normal for a 1987 Ford/NH 1920 as far a oil pressure after start up is concerned? 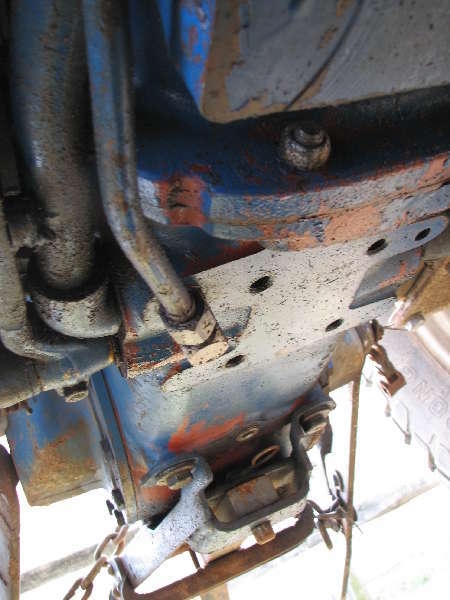 Local 2120 and 2110 tractors with a gear pump have no objectionable oil pressure issues. Trade you for my problem. We just rebuilt a 1710 and I can't get the oil pressure over 27psi. We also have checked everything 3 times. For what it is worth... the operating spec for the 1710 is 37-57psi. I was fascinated that the oil filter wasn't getting oil... I'm going to check that out again. About 10-12 years ago I ordered the service manual for the tractor from somewhere... I assume it was a FORD/New Holland dealer. My mechanic said it was one of the best he has ever seen. Sean, you might try a filter with an anti drainback valve, or a filter with a better qual valve if the one you are using has one. that might solve the temporary no pressure on startup, as you discovered the oil draining from the filter during down times causes the pump to have to push the oil back up from the oil pump through the filter, into the engine to start building pressure. another thought, is the filter is going into bypass mode till the oil warms up, not sure exactly what effect that would have on pressure, but could cause what you are seeing. Sean; In your first sentence you say "Spun Bearing", this has me wondering if a faulty oli pump wasn't the cause of the needed overhaul. Your satement that after a startup the pressure comes right up then drops to zero for a second or two then goes back to normal highly indicates there is an air leak that breaks the suction between the float screen and the actual gears of the pump. Your problem is not consistent with oil escape after it leaves the gears of the oil pump. Something is wrong that breaks the suction, perhaps when the float drops a bit going to the oil level you get the momentary drop because something opens an air gap for a bit, or maybe the float hesitates a bit before droping to the oil level. Take the pump off get a rebuilt one, I think your mystery will be solved. just a side note which would have no bearing on your present problem. did you replace the camshaft bearings, they are often overlooked and can be a big contributor ot low oil pressure at warm operating temps. Best of luck. Frank.